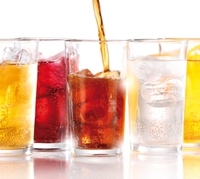 20 Aug 2018 --- PepsiCo is buying the manufacturer of home beverage carbonation systems, SodaStream, in a US$3.2bn deal, that demonstrates how the beverage and snacks group is focusing on a health-conscious strategy for growth. Just a few weeks after PepsiCo CEO Indra Nooyi announced that she is stepping down after 12 years in charge, the group has agreed to buy the Israel-based maker of home fizzy drinks dispensers which markets itself as a health and wellness alternative to sugary sodas. PepsiCo has switched its strategy to move away from sugary soft drinks to focus on healthier beverages and snacks. SodaStream aligns with Pepsi’s approach, backed by Pepsi’s incoming chief executive, Ramon Laguarta. PepsiCo has agreed to acquire all outstanding shares of SodaStream for US$144.00 per share in cash, in a transaction valued at US$3.2 billion. The transaction will be funded with PepsiCo's cash on hand. "PepsiCo and SodaStream are an inspired match,"
says PepsiCo Chairman and CEO Indra Nooyi. “That focus is well-aligned with Performance with Purpose, our philosophy of making more nutritious products while limiting our environmental footprint. Together, we can advance our shared vision of a healthier, more sustainable planet." PepsiCo's strong distribution capabilities, global reach, R&D, design and marketing expertise, combined with SodaStream's differentiated and unique product range will position SodaStream for further expansion and breakthrough innovation. Daniel Birnbaum, SodaStream CEO and Director says the deal marks an important milestone for SodaStream. “I am excited our team will have access to PepsiCo's vast capabilities and resources to take us to the next level. This is great news for our consumers, employees and retail partners worldwide." At the beginning of this month, SodaStream International announced its results for the quarterly period ended June 30, 2018. Revenue increased 31.3 percent to US$171.5 million, compared to US$130.6 million in the second quarter of 2017, while operating income increased 89.1 percent to US$31.8 million, compared to us$16.8 million in the second quarter of 2017. Net income also increased 81.7 percent to US$26.1 million, compared to US$14.4 million in the second quarter of 2017. The acquisition has been unanimously approved by the Boards of Directors of both companies and is subject to a SodaStream shareholder vote, certain regulatory approvals and other customary conditions. Closing is expected by January 2019. There have been a series of deals in recent years where global food and beverage companies are repositioning themselves as being more health-conscious tapping into the shift in preference of consumers all over the world. This also comes at a time when governments are introducing sugar taxes on sugary soft drinks in a bid to cut down on obesity, particularly among children. The deal closely follows PepsiCo’s rivals the Coca-Cola Company which last week announced that it had entered into a definitive agreement to acquire a minority ownership stake in Bodyarmor SuperDrink. Through the agreement, New York-based Bodyarmor will have the opportunity to gain access to the expansive Coca-Cola bottling system, enabling the fast-growing brand to accelerate its growth to meet explosive consumer demand for its premium line of sports performance and hydration drinks. In March 2013, former US professional basketball player Kobe Bryant purchased a large stake in the company, joining the board of directors. And in January, Dr Pepper Snapple Group, Inc and Keurig Green Mountain, Inc entered into a definitive merger agreement to create Keurig Dr Pepper (KDP), a new large-scale beverage company with a portfolio of iconic consumer brands and unrivaled distribution capability to reach virtually every point-of-sale in North America.